21 years later, Gargoyle's Quest is returning to handheld consoles outside of Japan. 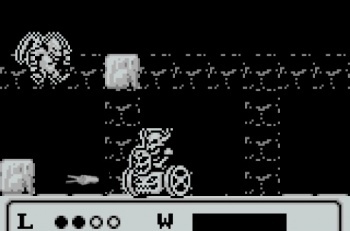 Gargoyle's Quest is one of those titles that a lot of gamers have been clamoring for a rerelease of, ever since the Virtual Console system was launched by Nintendo. It's not surprising, since Capcom's Ghosts 'n Goblins Game Boy spinoff was pretty great. The game was released in Japan via the 3DS eShop, but no Western release has been revealed ... until now, that is. It turns out that the action platformer/RPG has received a rating in Australia, which means that the game is probably going to come out in the rest of the Western territories. The game's been rated PG for "Mild Violence." Seeing as how the game was released in North America in 1990, there obviously shouldn't be any localization problems. Unfortunately, there's no real known details about the game yet, like a release date or price point. That said, anyone who's a fan of quality RPGs should pick it up when it comes to their country.